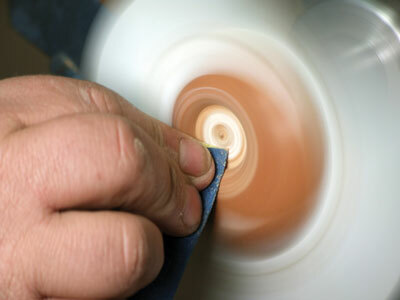 Hand-made jewellery is very popular at the moment and a personalised jewellery item is a great gift for someone special. 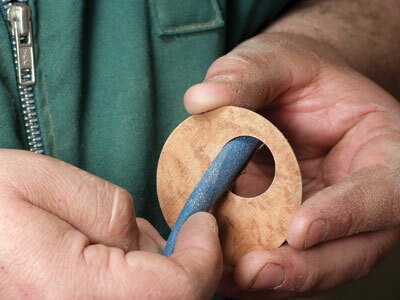 It has been a long time since my family have taken an interest in what I was making but as I started to develop the idea of the pendant, requests started to come in thick and fast. 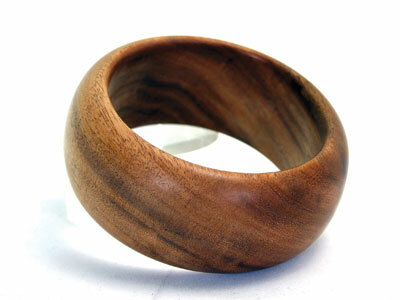 "I prefer that wood" or "I want a matching bangle" were some of the specific requests. 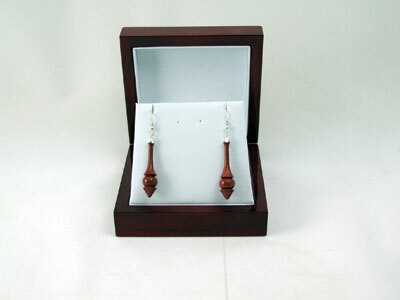 The items are quick to produce and the earrings also continue the theme of copy turning. 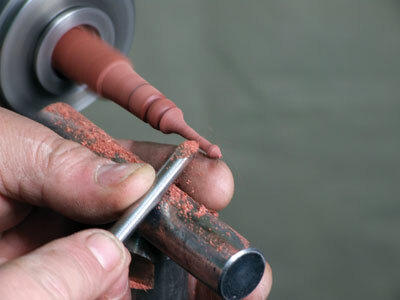 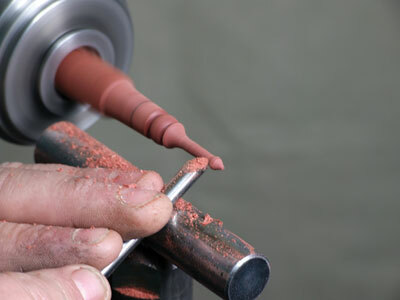 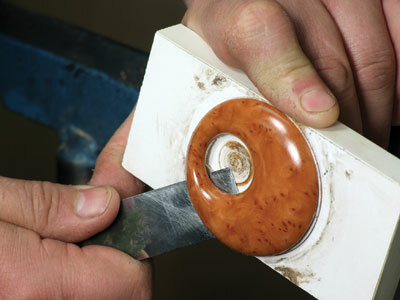 Ideas are endless but for this article I have covered the basic principles of turning jewellery. 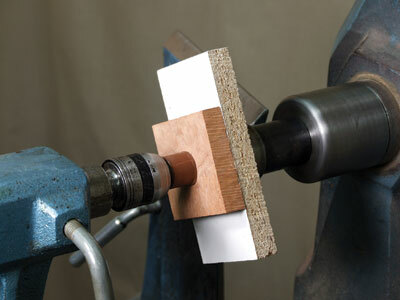 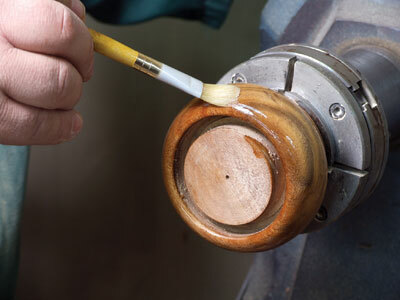 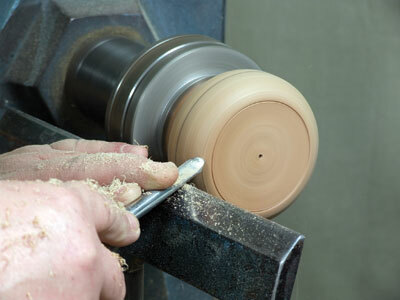 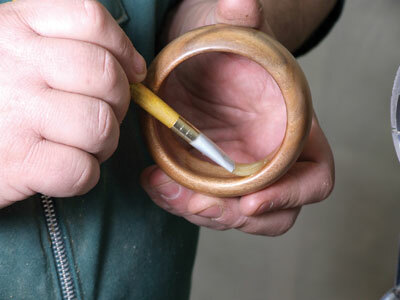 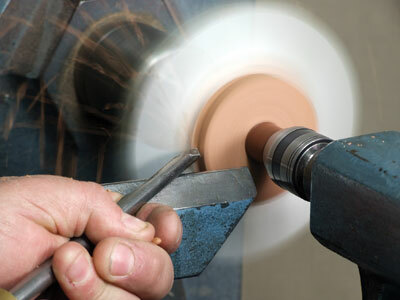 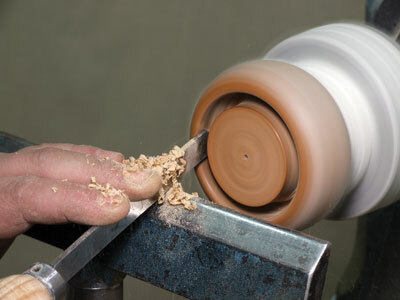 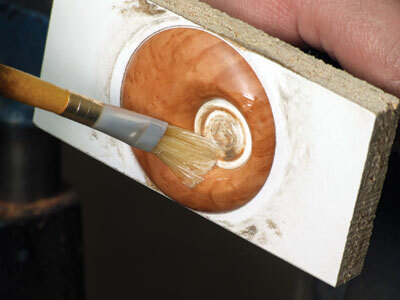 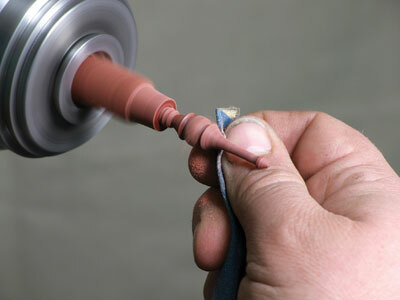 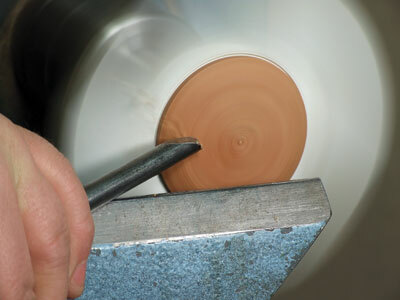 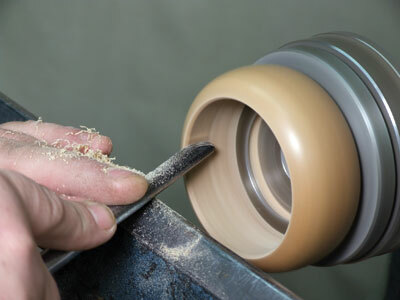 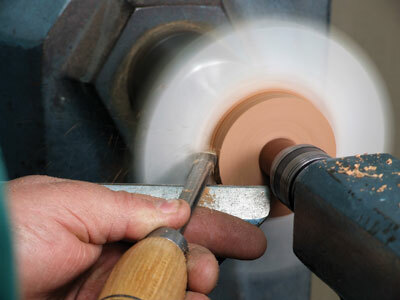 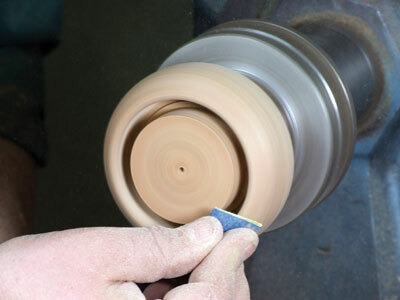 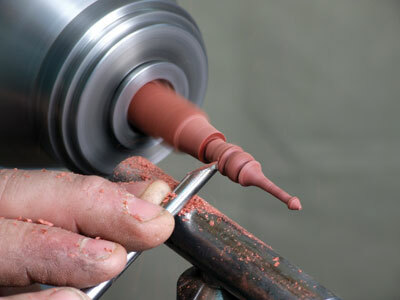 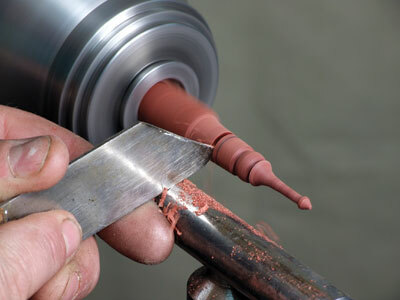 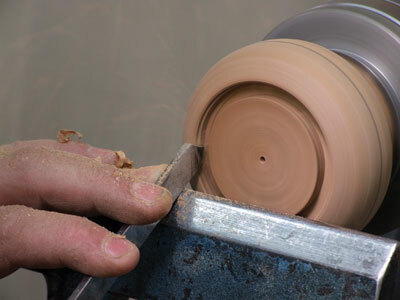 Jewellery fittings can be sourced from your woodturning outlet or pay a visit to your local crafts shop. 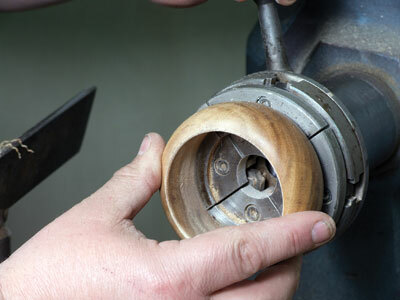 The only thing I struggled to find were tiny eyelets so I could make matching earrings to the pendants. 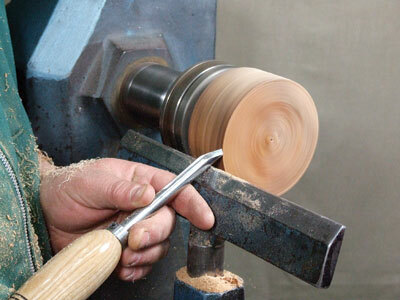 The timber should be decorative, either in grain or colour. 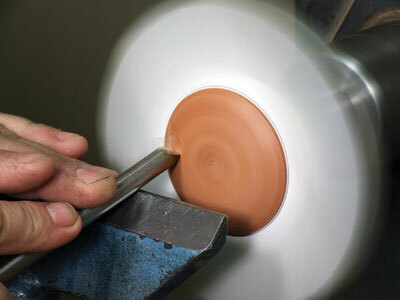 Remember that there are also other materials that lend themselves to these items such as Corian, gemstone, acrylic, horn or the GPS alternatives. 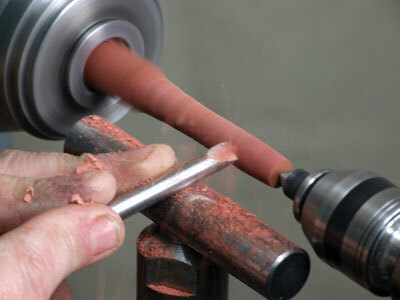 For the earrings, I used pen blanks. 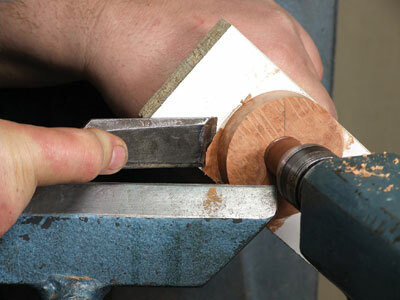 Don't forget that the amount of wood required is only small so it will not cost a fortune. 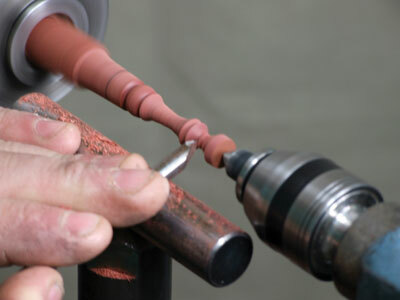 So have a go and make some jewellery for the ladies in your life rather than another bowl. 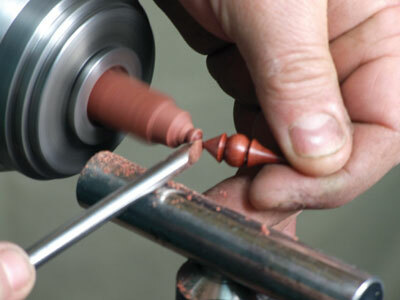 The jewellery projects are also ideal to try some of the decorating methods that I have shown in earlier articles. 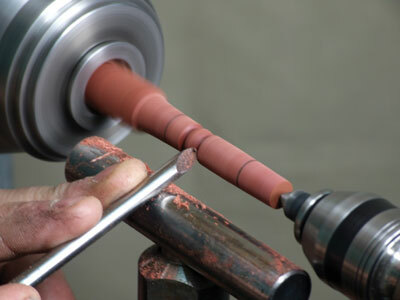 I re-applied spray lacquer once the jewellery was finished to achieve coverage of the entire piece. 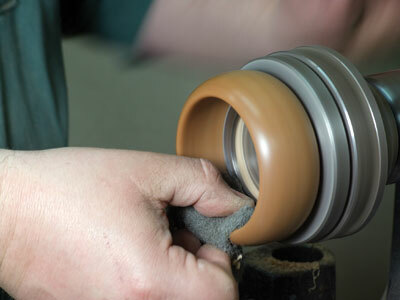 This allowed for the choice of a satin or high-gloss finish. 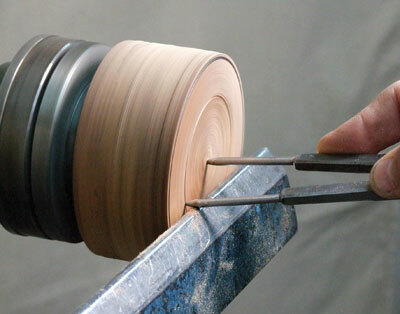 The choice is yours but remember - if it is too glossy it may no longer look like wood and instead look and feel like plastic. 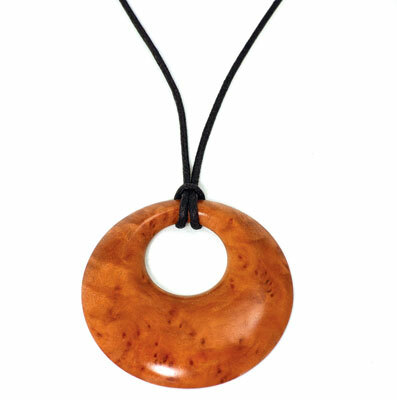 "A personalised jewellery item is a great gift for someone special"
- Protect your eyes and lungs at all times, and work at a speed that you feel comfortable and safe. 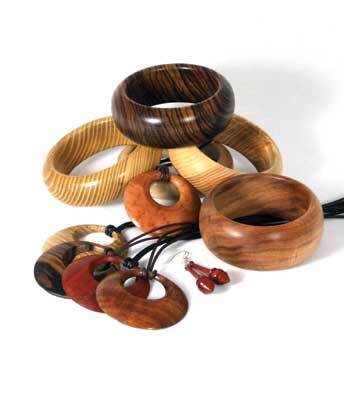 - When working with exotic timber take extra care as these are hazardous to health - some exotics are very nasty indeed. 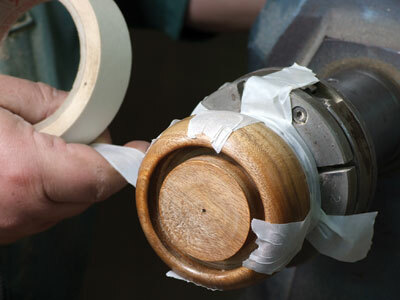 When working with small items don't take the risk, it simply isn't worth it. 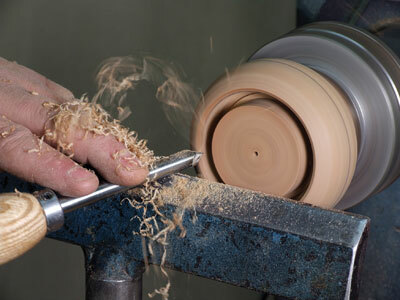 From the Forum - Chosen by the Members - georg once again!